Students will receive two minerals that they will learn how to identify by recording various characteristics. They will also learn about the various layers of the Earth, the geology of Newfoundland, scientific contributions from Canadians working in the field of geology, plate tectonics, and rock formation. They will each be given a rock that they will need to identify and place on a map based upon its origin. 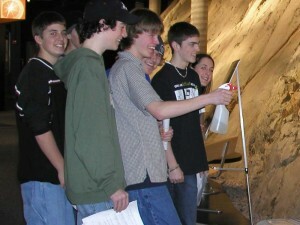 For more information on GEO CENTRE Education Programs, please contact us using the information to the right.